Lakatamia K9 Academy has a strict policy for handling customer information. 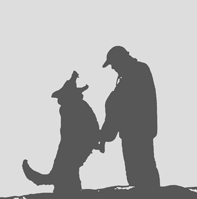 The information you provide to Lakatamia K9 Academy is confidential and protected to the fullest extent possible. Lakatamia K9 Academy will not disclose or distribute customer information to third parties without prior written consent by the customer. Welcome to the Lakatamia K9 Academy Web site (the "Site"). By accessing this Site, you agree to be bound by the terms and conditions below (the "Terms"). If you do not agree to all of the Terms, please do not use the Site. Lakatamia K9 Academy may from time to time modify or revise the Terms by updating this Web page. Your use of our Site following any such change constitutes your agreement to follow and be bound by the Terms as changed. If any change is unacceptable to you, your only recourse is to terminate your use of the Site. These Terms are governed by and shall be construed in accordance with the laws of the United Kingdom without giving effect to any principles of conflicts of law. If any provision of these Terms shall be unlawful, void, or for any reason unenforceable, then that provision shall be deemed severable from these Terms and shall not affect the validity and enforceability of any remaining provisions. These Terms are effective unless and until terminated by Lakatamia K9 Academy.